What to Consider When Building a Custom Rotary Dryer? The amount of moisture. You should think about escaping moisture as well. Bulk density. 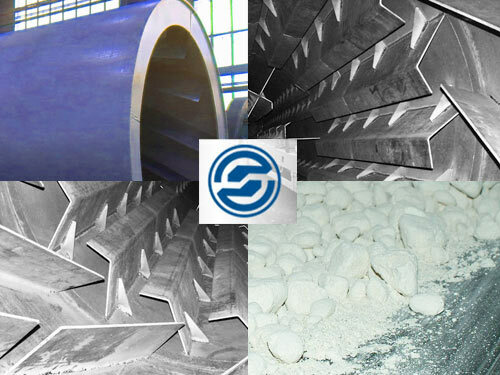 Some technical criteria of rotary dryers are defined based on the bulk density of materials. Heat needed for processing the material may vary based on the features of the material. A rotary dryer must be designed accordingly. Heat transferring is pivotal in defining how much energy you need to evaporate liquid contents from the material. Material specifics. Sometimes, having a completely clean container for processing is a pivotal condition. There are materials that may not sustain mechanical damage. The basic operation of rotating drying drums is fuel and raw material drying, regardless of the initial humidity, or viscosity of the components. Rotary drying drums rely on two panel-mounted devices that sense the weight of the materials which fill the drum. These structures have support rollers, which are mounted on ball bearings. The main difference from conventional drums is that this drum does not have a solid body and is assembled from blades overlapping each other. The slots, which are located between the blades, enable transverse blowing of the laden materials by hot air. Often, the gap between the blades is relatively small so that drying product cannot spill out. Drying needs a temperature of 120 C degrees in the drum compartments. During the drying period, the product gives 05-10% of moisture off. Drying with flue gases, or drying under higher temperatures is not possible - due to safety reasons, since nitric acid ammonia is a flammable chemical. If you need further assistance, feel free to contact our specialists. We will certainly suggest you the best solution.